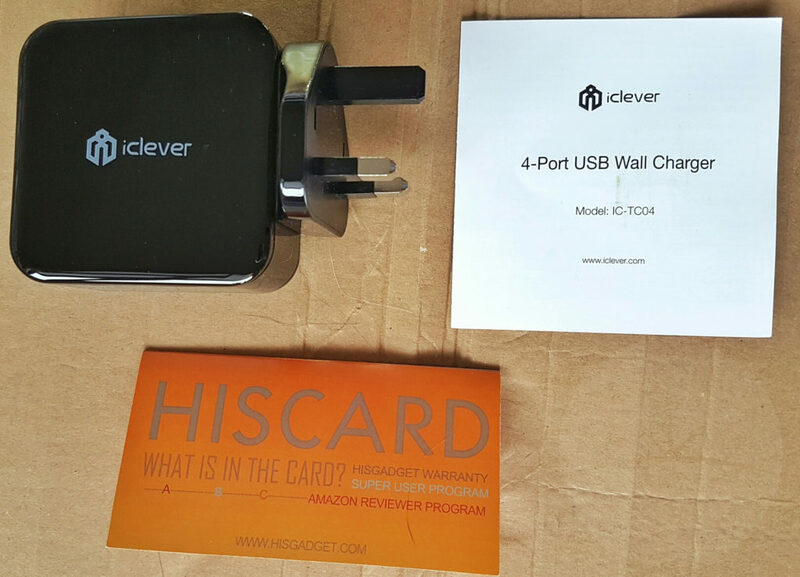 iClever have released a range of USB power bricks under the BoostCube brand name, and when Ryan reviewed three of the US variants (2-port, 3-port and 1-port QC3.0) he was happy with their performance for the price. 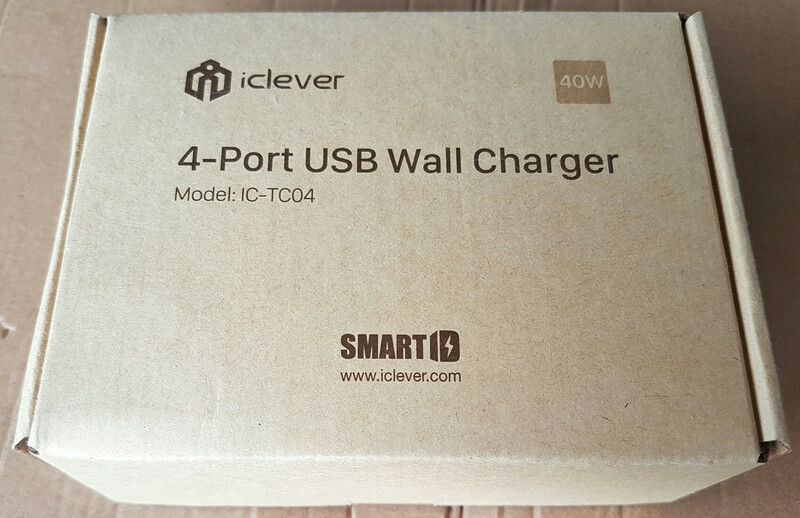 However the more ports we have on our chargers the better we like them, so today for our UK readers I’ll be checking out the 4-port version designed to fit our 3 pin wall sockets. This compact charger has a glossy black plastic shell and comes straight out vertically from the wall, offering 4 standard 2.4A USB ports. 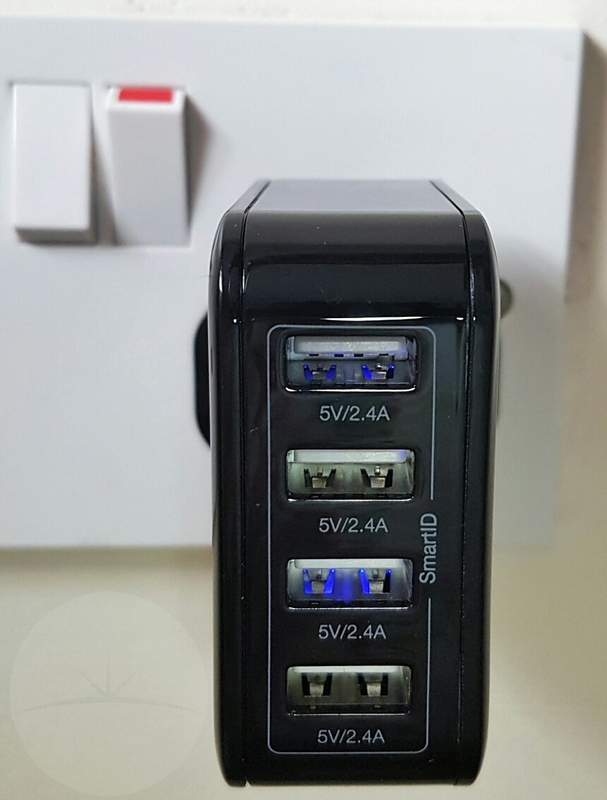 However unlike many multiport chargers we’ve seen, the current output of each port is not compromised when you plug in multiple gadgets. 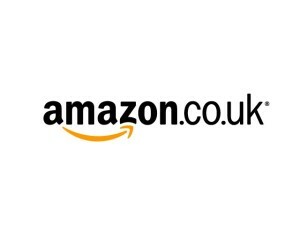 As it’s capable of outputting a total of 8A, this means if necessary all 4 devices can get a full 2A charge. The BoostCube seems well made with quality connectors and good spacing between the ports. It also has a couple of blue LEDs behind two of the ports which makes them easy to locate in the dark. The charger worked flawlessly and delivered the claimed 2.4A from each port without any issues. 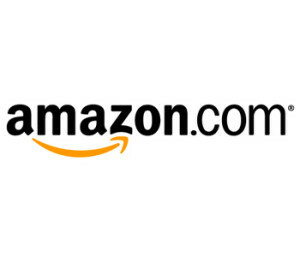 It also has all the usual safety mechanisms built-in to prevent overloading your gadgets. 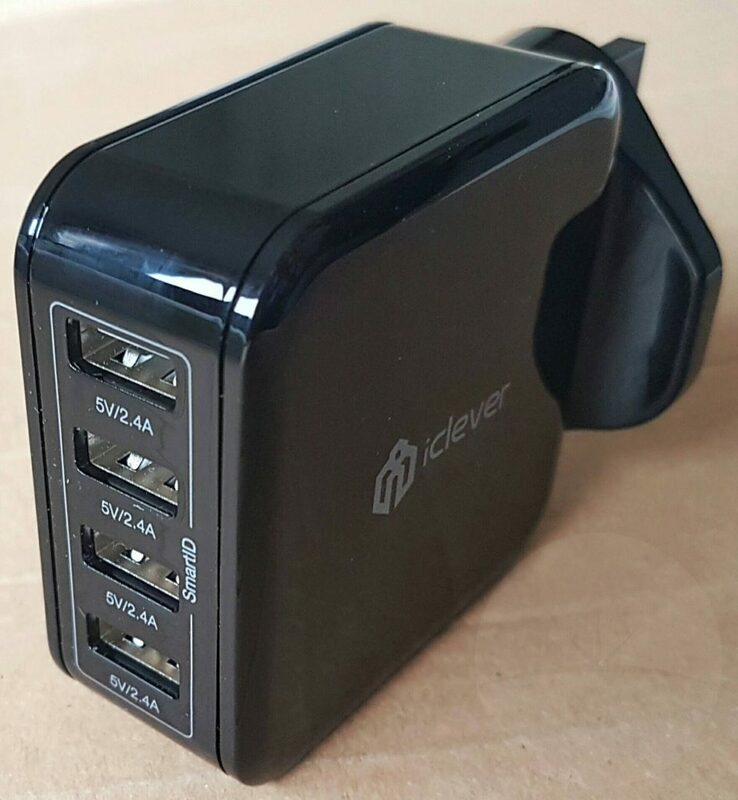 What’s most convenient about this product is having so many ports on such a compact little charger, without any of them being underpowered. 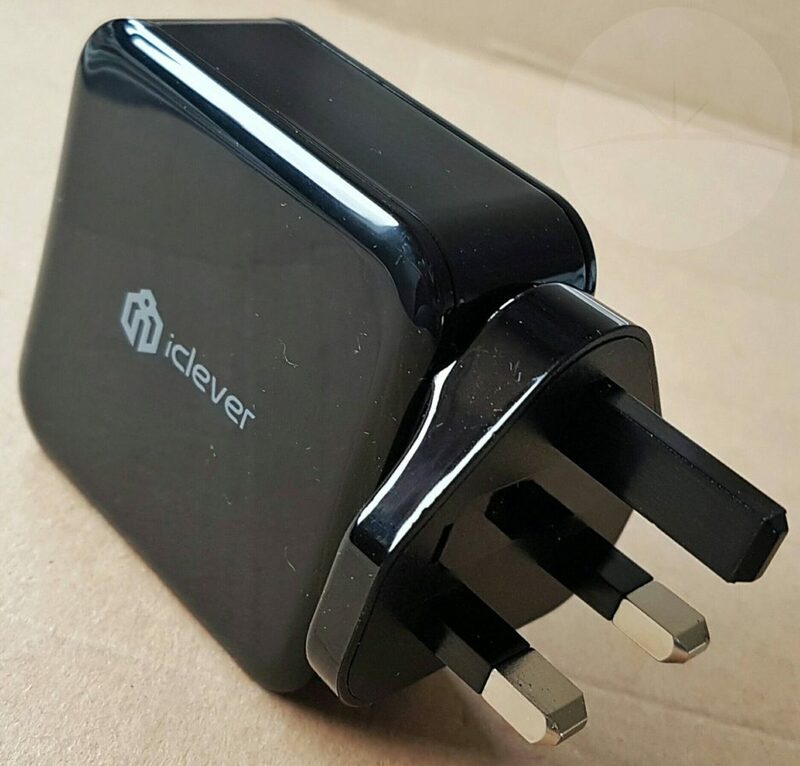 If you’re going travelling then you’ll just need to pack this one little charger as it can also accept 110v or 220v. 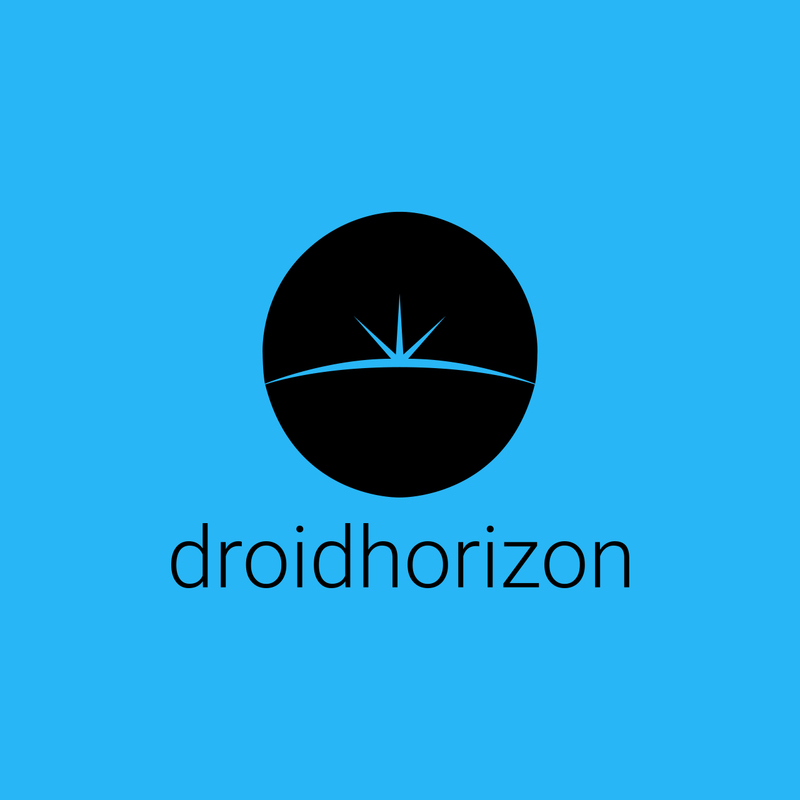 The only negative for me is the lack of Qualcomm Quick Charge which means those with a compatible handset may prefer to pay a little extra for a QC charger. 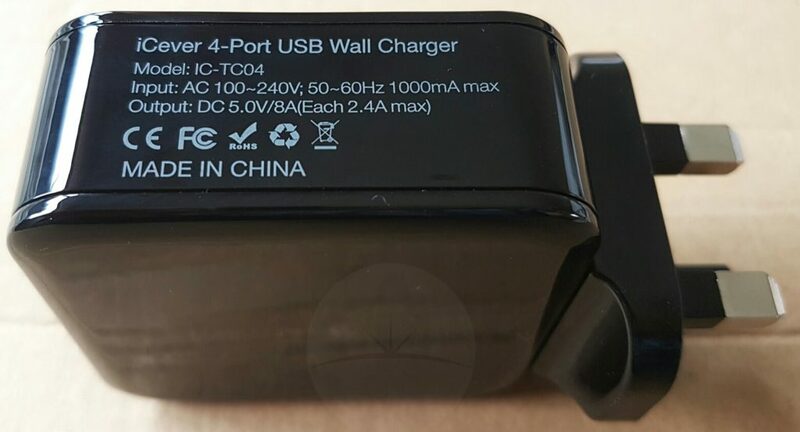 However, this adapter is no slouch and if you’re looking to replace multiple power adapters or just want to have a single portable charger to carry that will simultaneously charge all your gadgets then this is a great option for the price (currently £13 or $20 for the US variant from the links below).